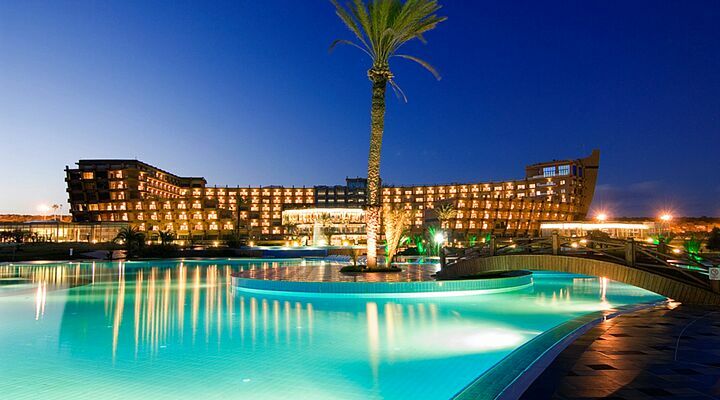 7 Nights from £719 inc Flights, Hotel & VIP Transfers - £360 OFF! 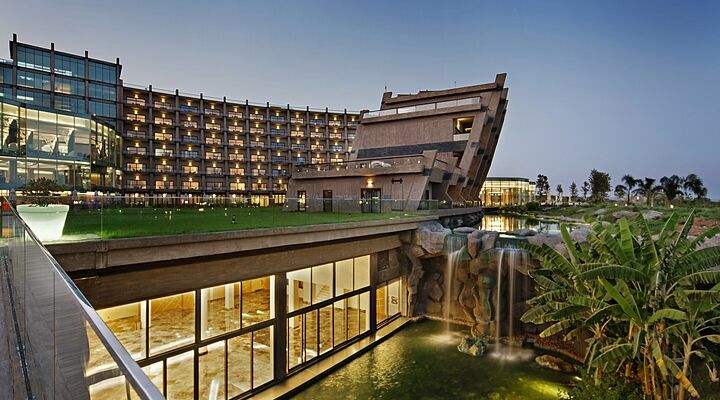 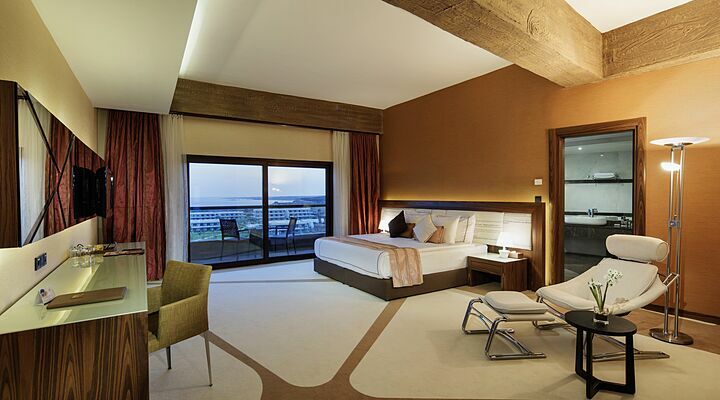 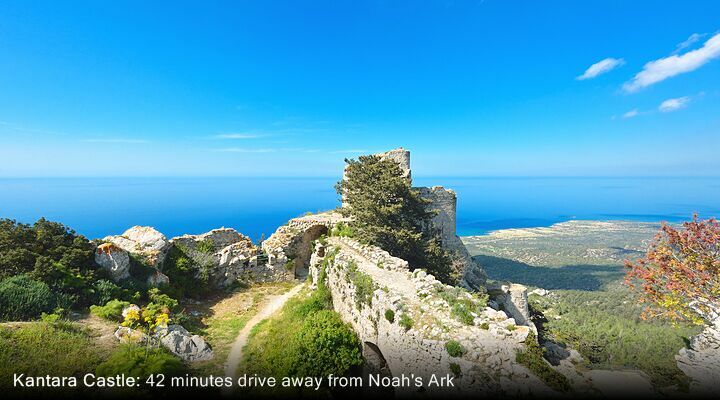 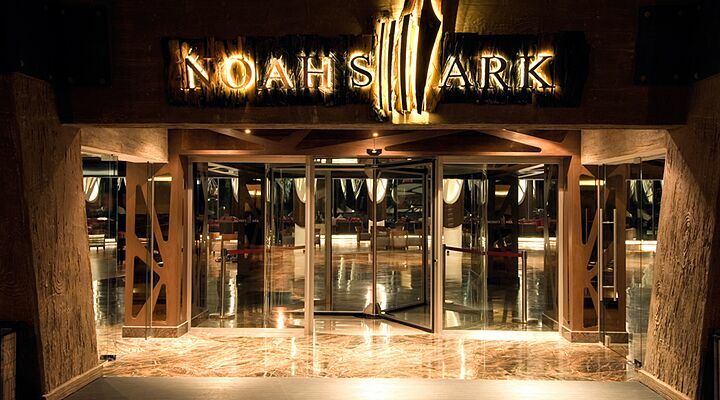 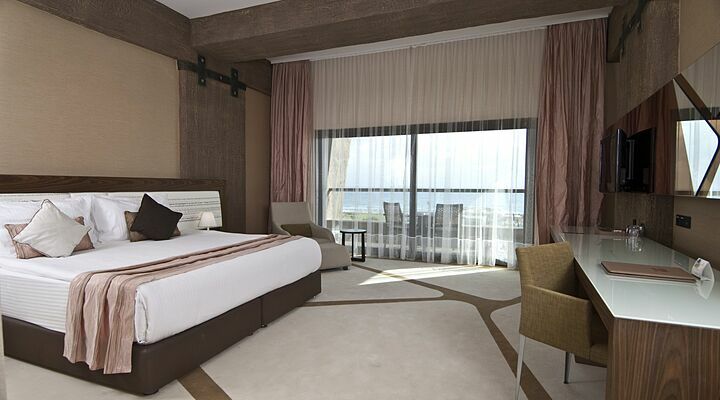 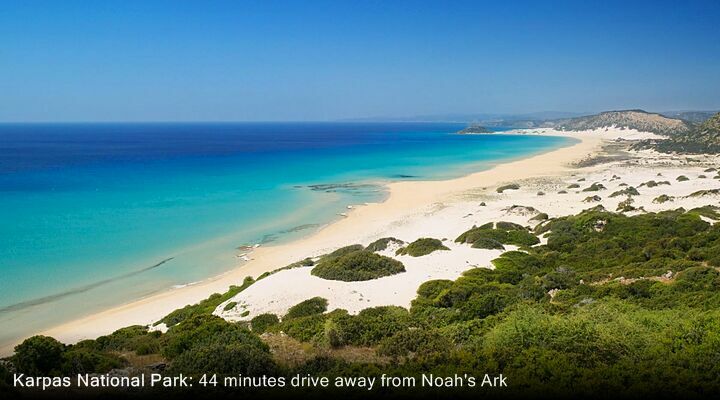 Noah's Ark is a stunning hotel with good spacious rooms and lovely pools and beach. 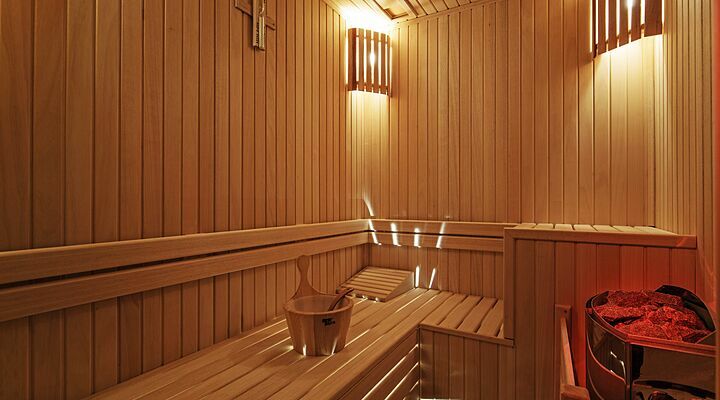 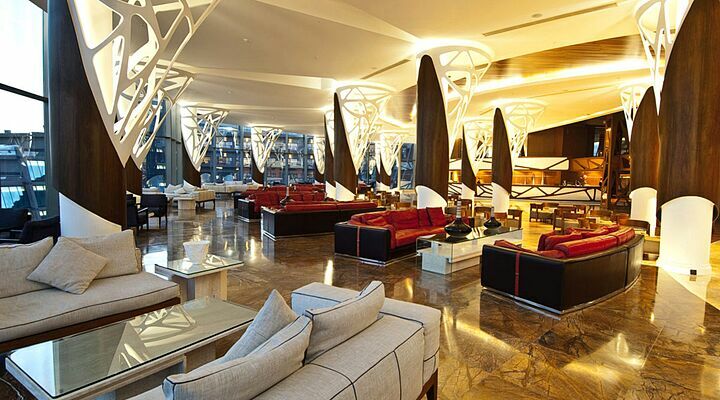 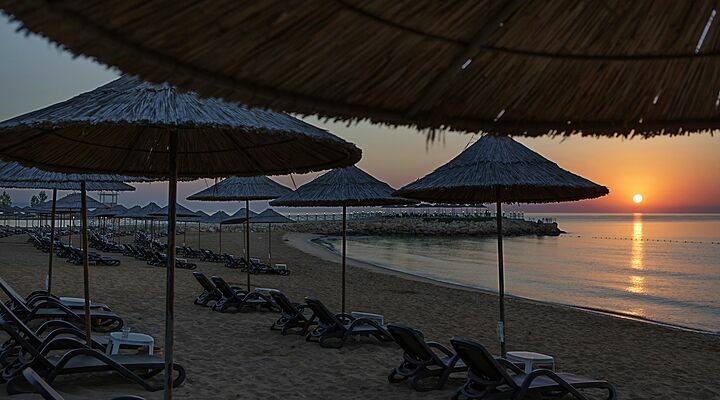 Wherever you step here you will find it peaceful and luxury. 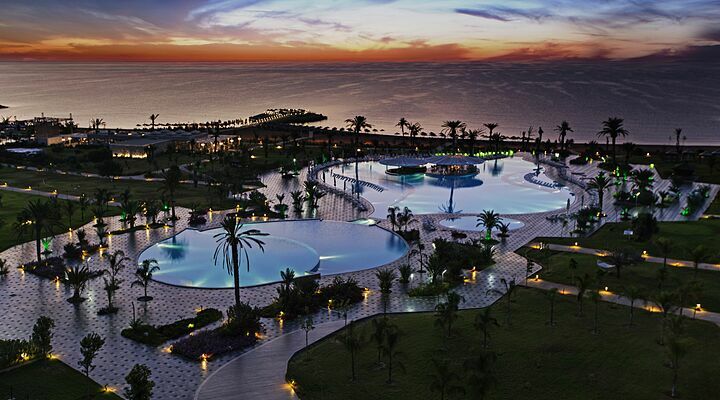 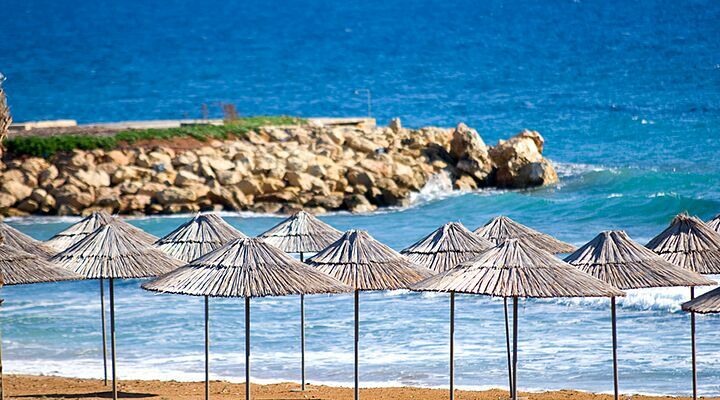 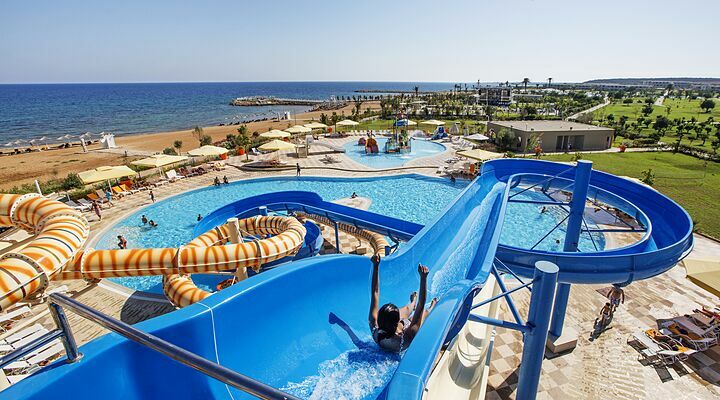 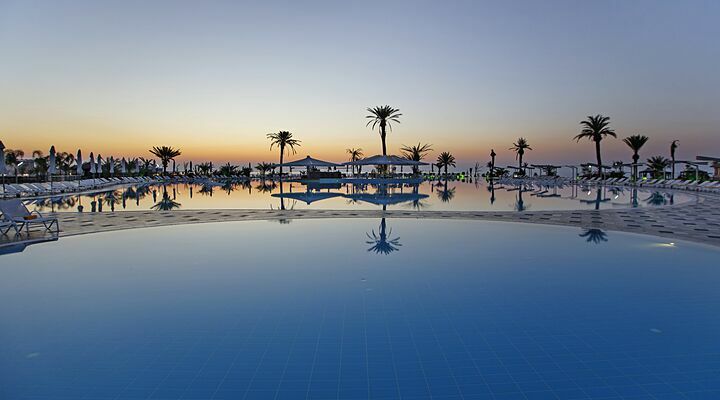 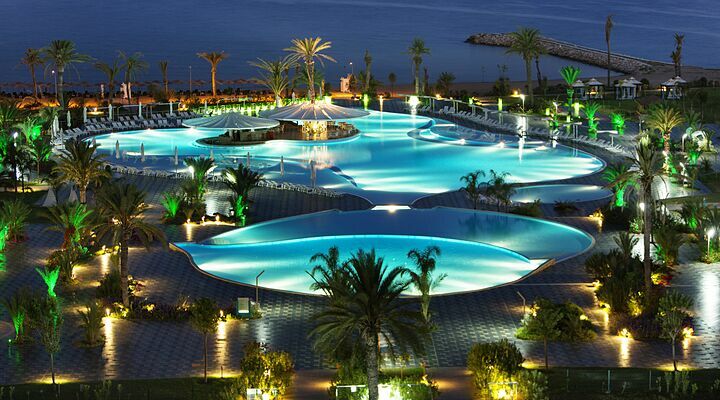 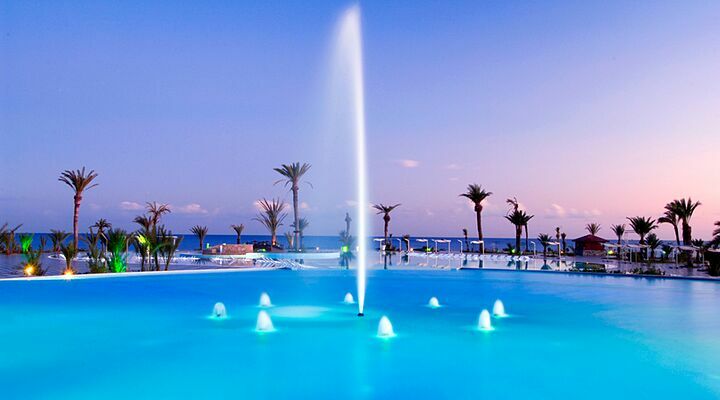 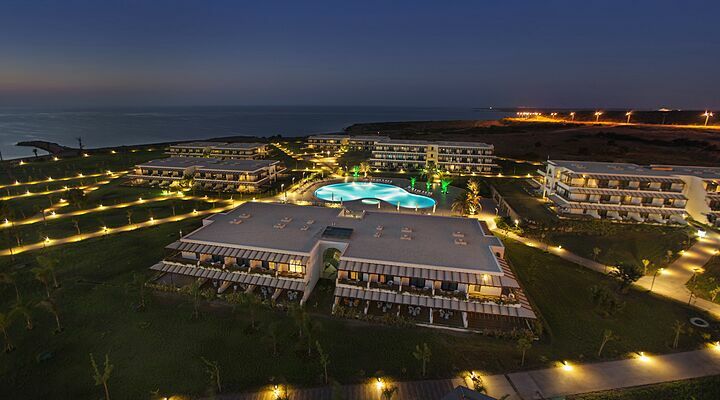 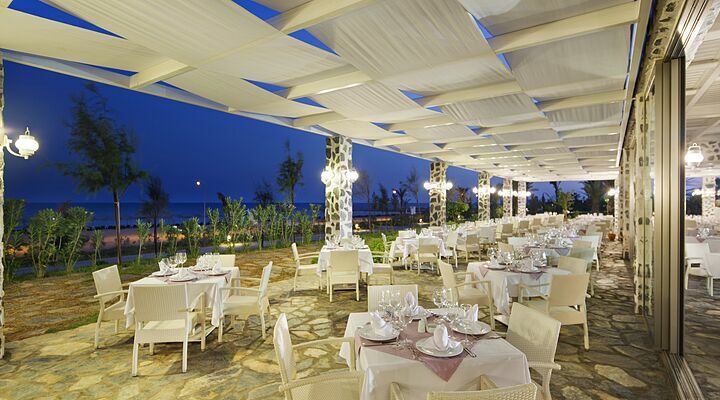 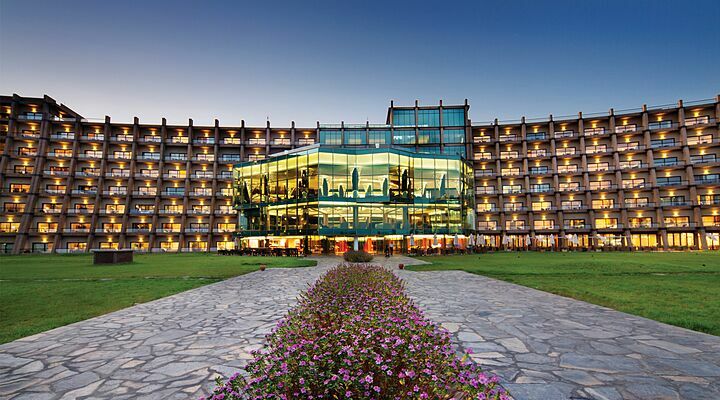 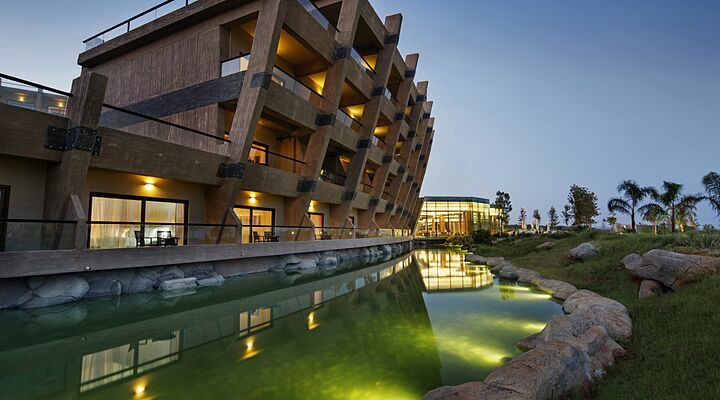 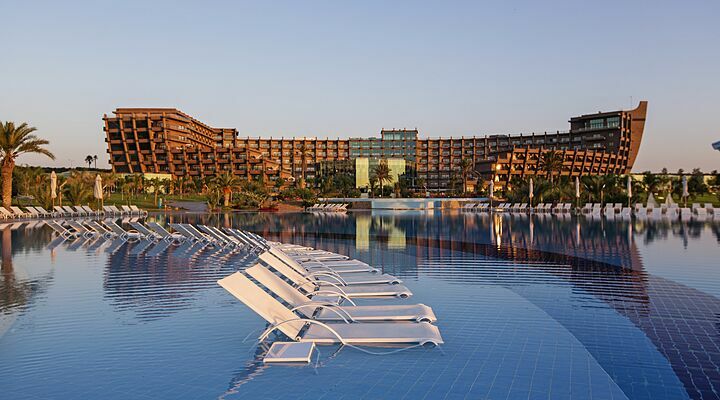 This large holiday complex is located in the Bafra Tourism Area in north east Cyprus, close to Famagusta Bay. 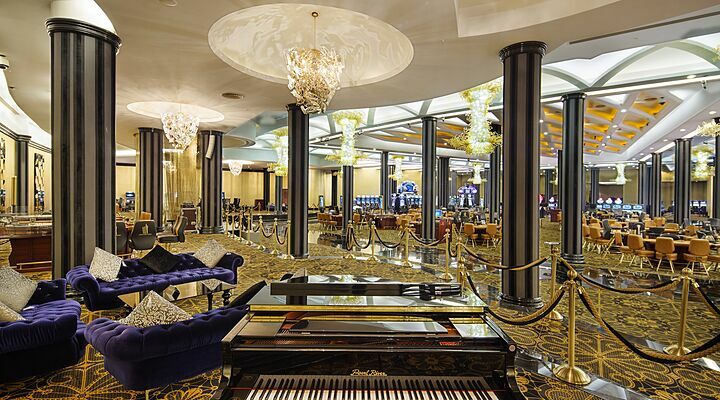 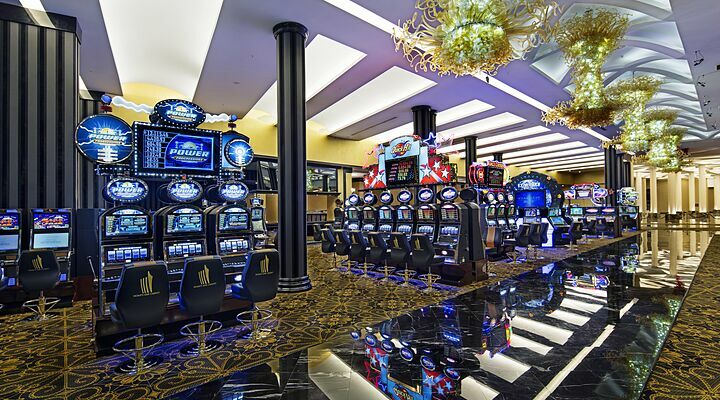 Boasting unlimited entertainment through its facilities and activity team, this large casino and spa complex is suitable for most ages. 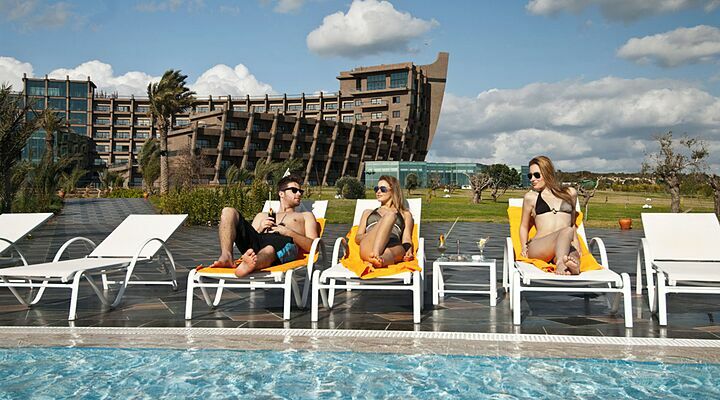 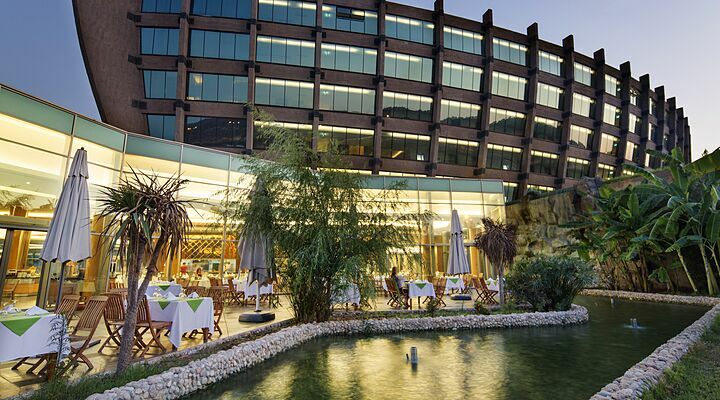 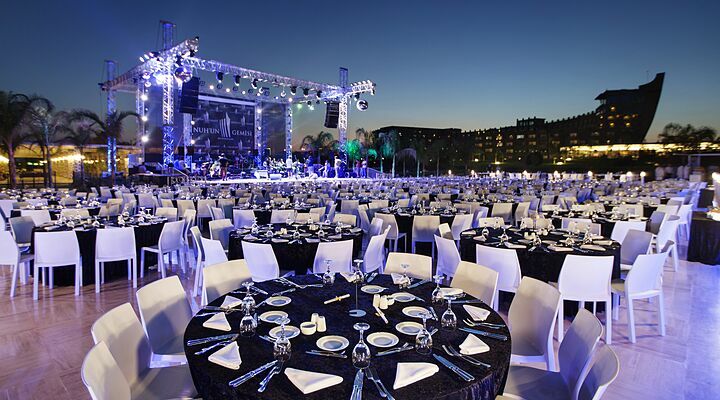 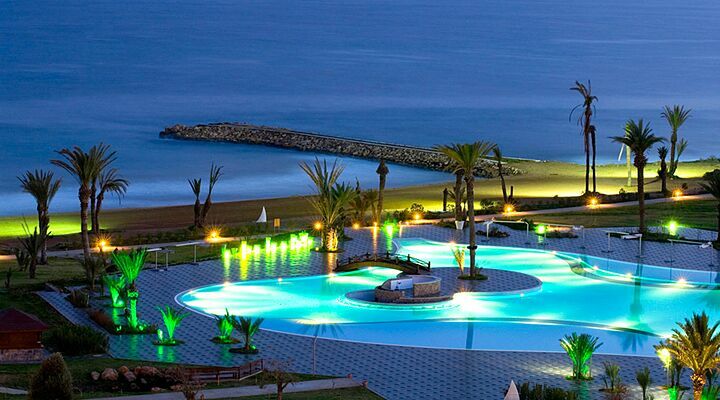 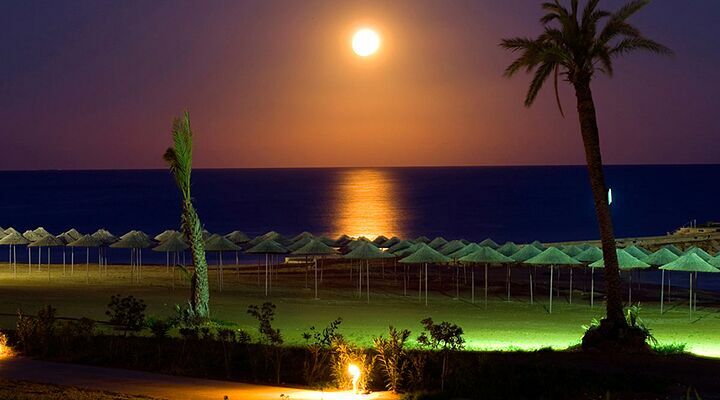 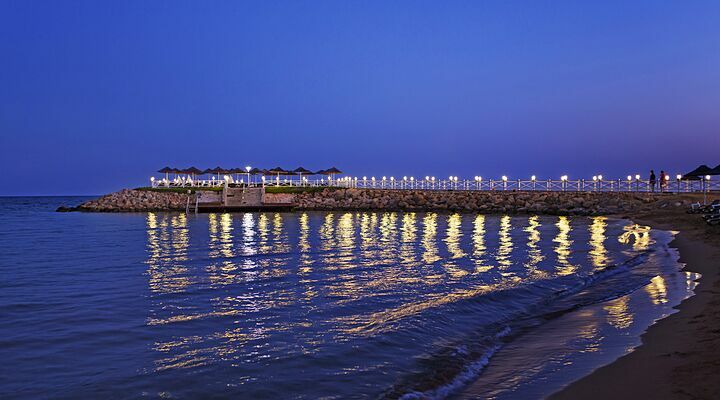 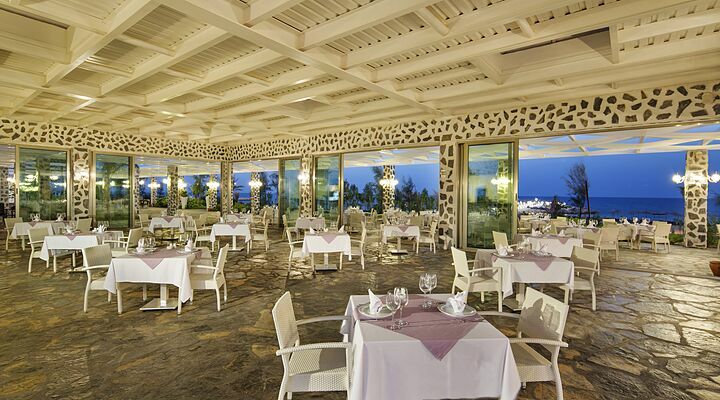 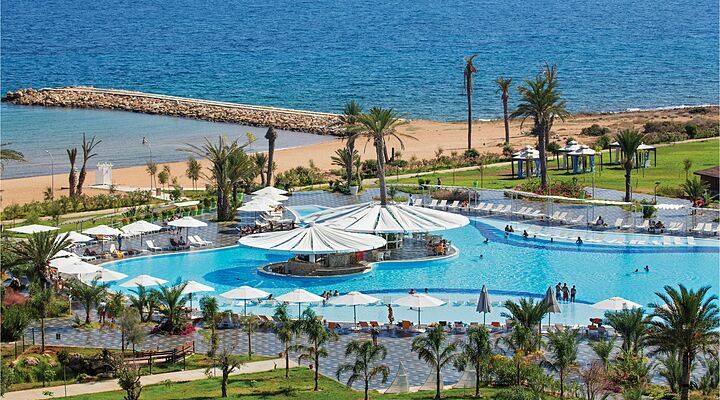 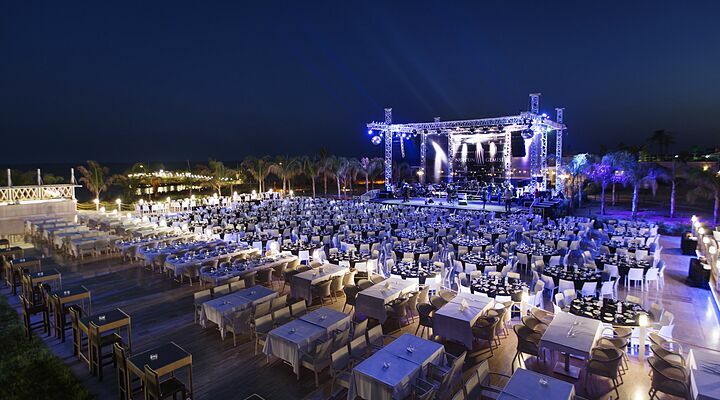 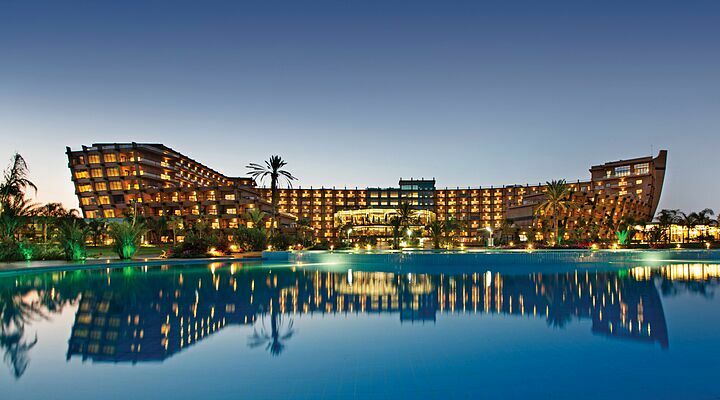 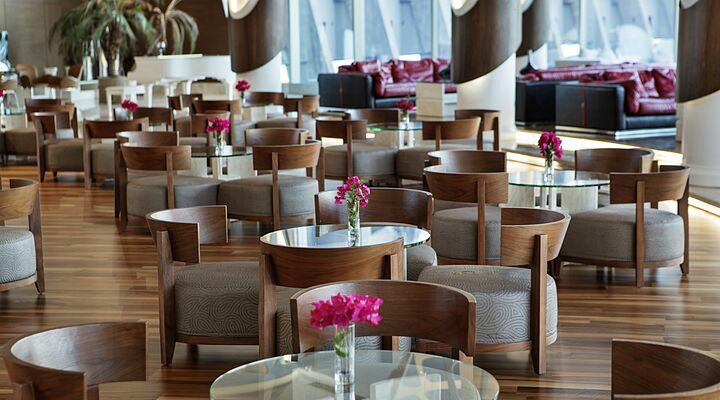 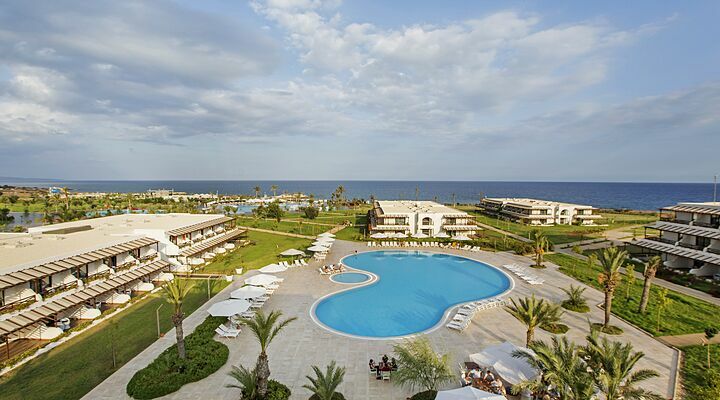 The spacious grounds cover 160,000 square meters of which 1,600 square meters belong to the hotel's beach. 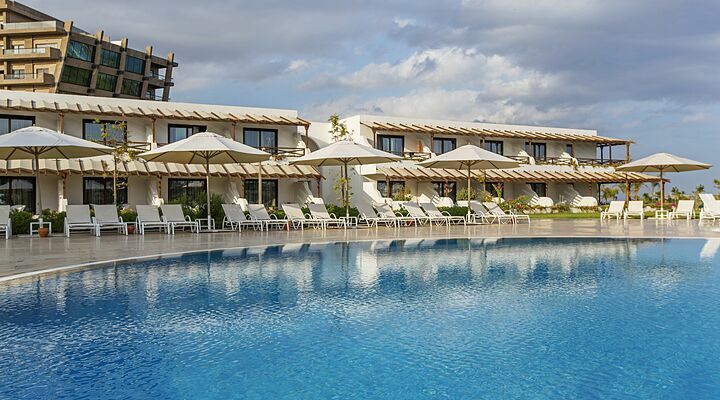 A holiday village with 280 rooms is within the grounds and residents in this part of the complex have access to their own outdoor pool and snack bar. 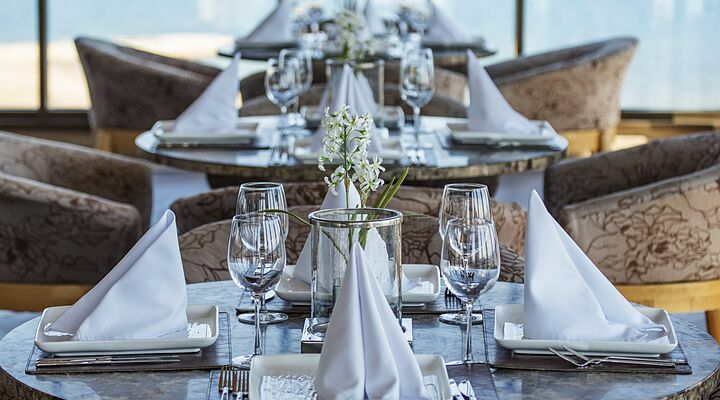 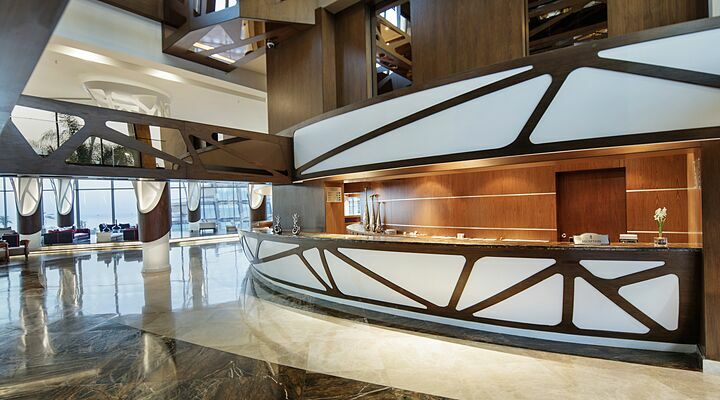 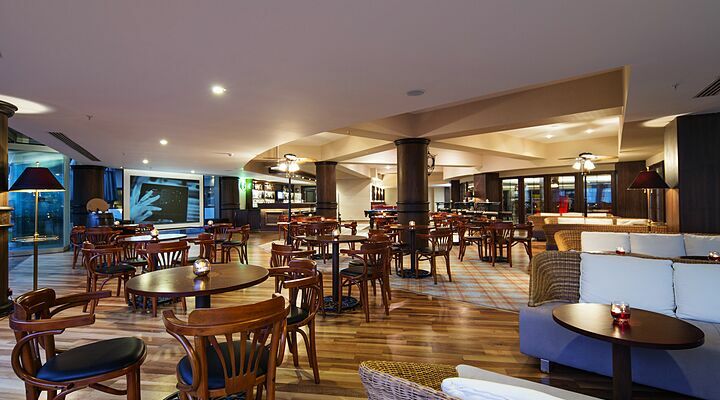 Additionally, there are a number of meeting/function rooms suitable for conferences and social functions. 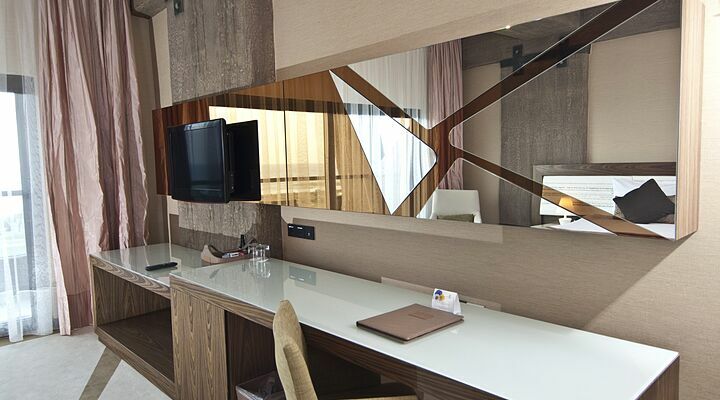 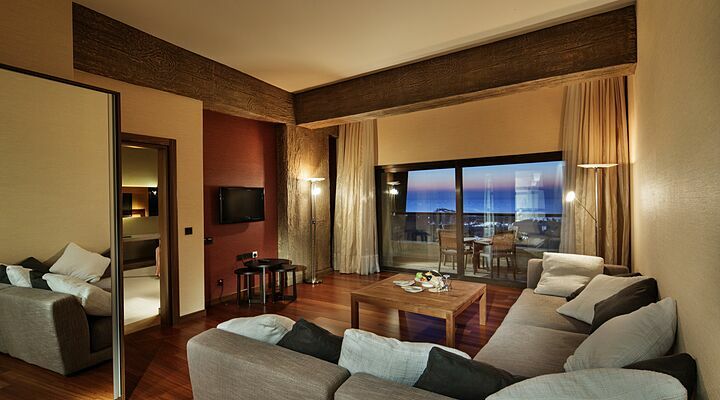 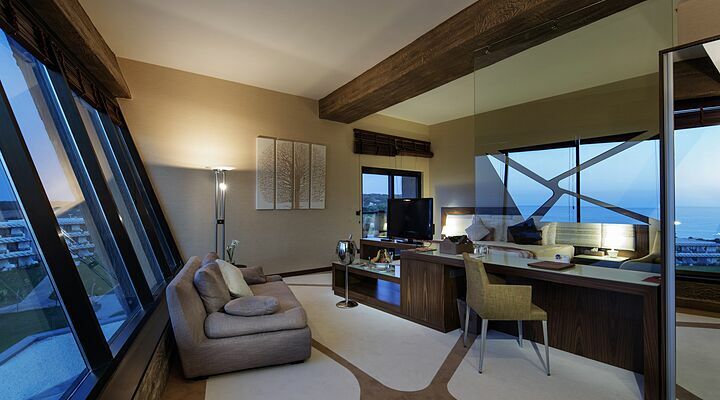 The rooms are all furnished and decorated in a modern and contemporary style and measure between 37 and 52 square meters. 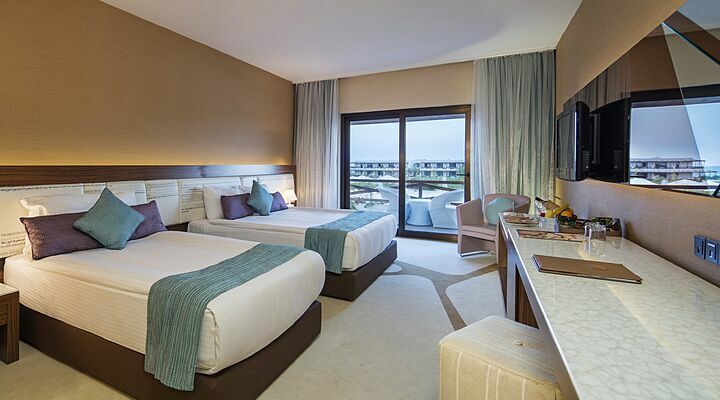 They have centrally controlled air-conditioning, mini-bar (extra charge), internet access, digital safe box, LCD satellite TV and are carpeted. 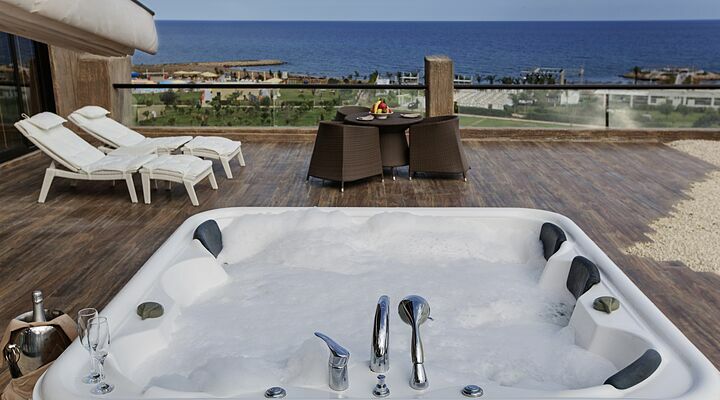 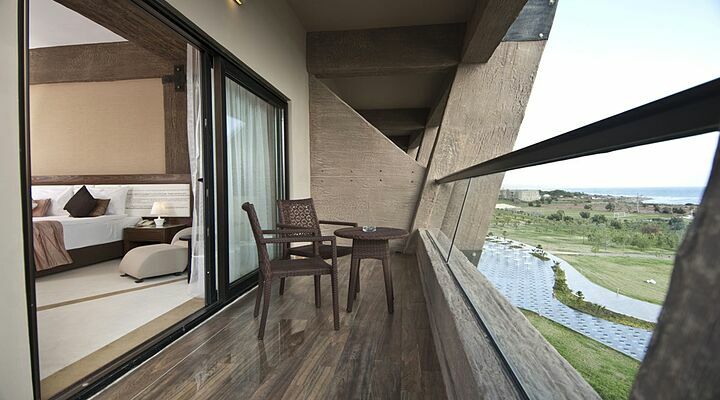 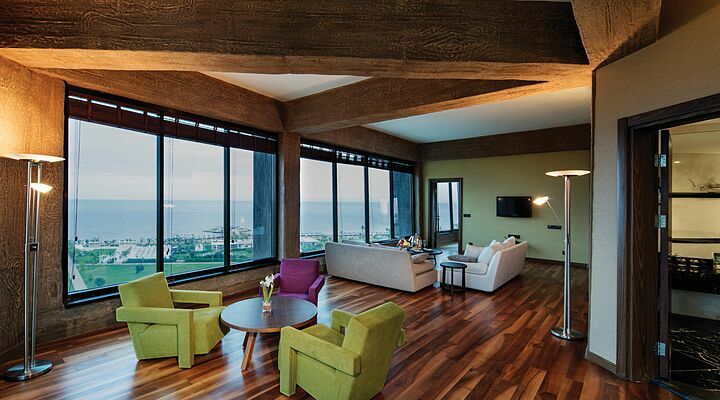 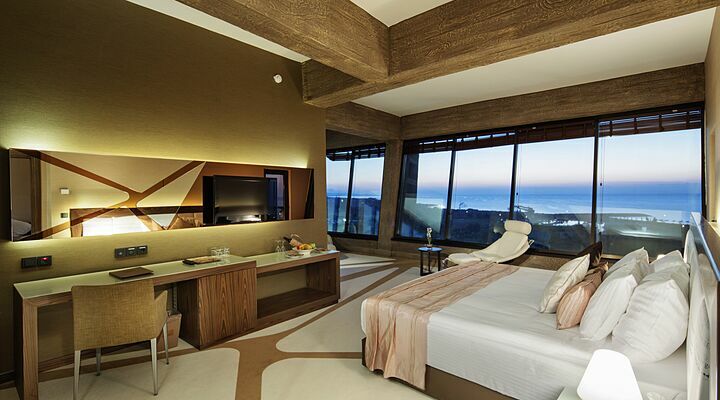 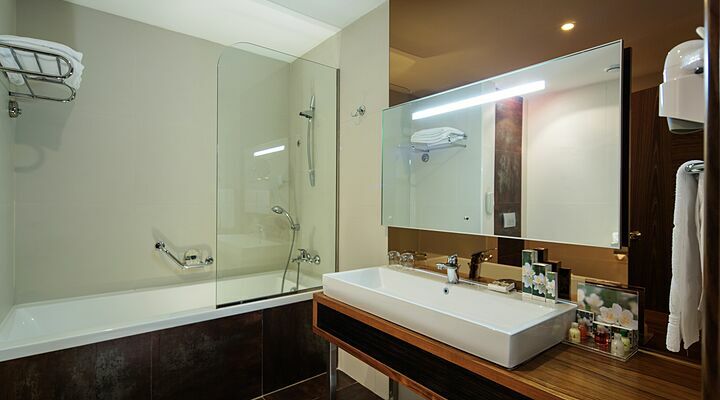 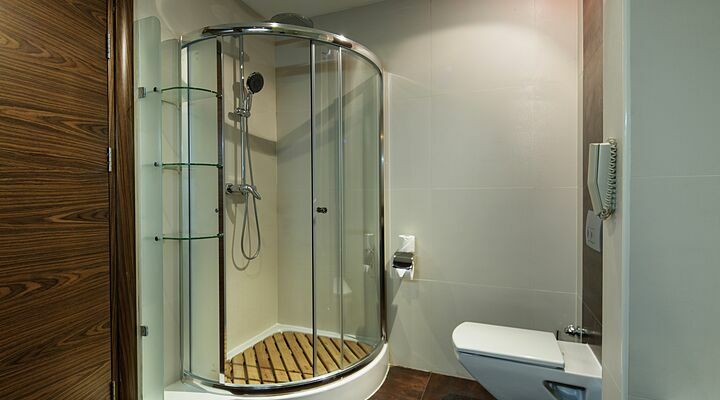 Rooms can have either a bathtub or shower and a balcony or terrace. 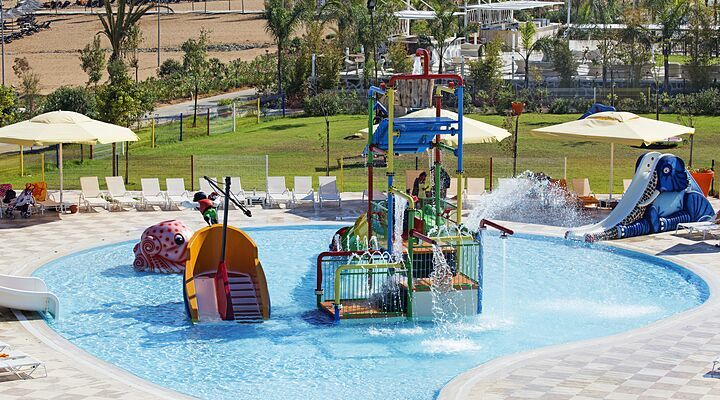 As well as the complex's impressive casino and Spa centre, guests will find a professional animation team, tennis courts, FIFA standard football pitch, open-air cinema, watersports on the beach (extra charge), small Aqua Park and a range of smaller games and sports activities. 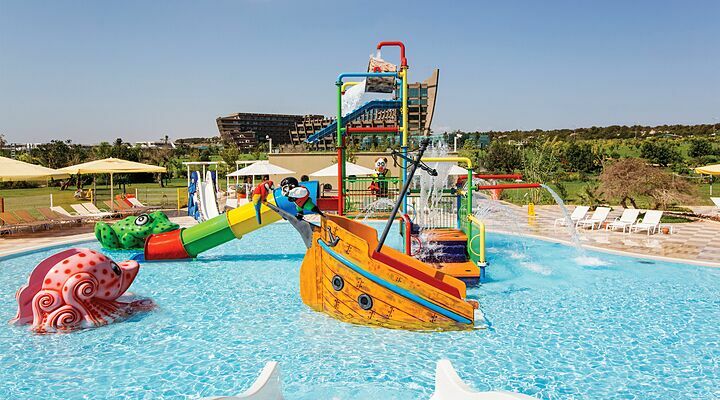 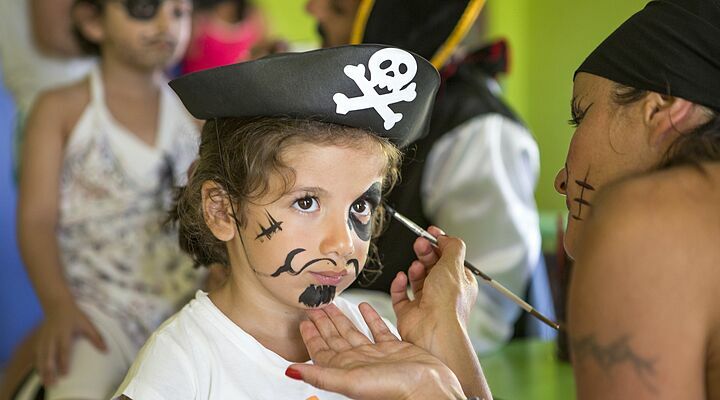 Younger guests will enjoy the mini club and children buffet. 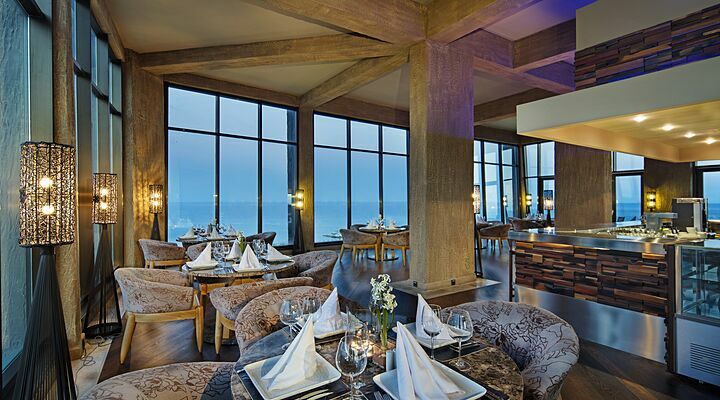 Meals are served in buffet form with drinks service.